Automate discovery of computing assets, gather end-user experience information to make better decisions, conduct more effective root cause analyses, and minimize IT risks by better understanding the impact of change. For the first time, you can rely on a trusted CMDB. No more missing or incomplete data that can trigger risky decisions, time-consuming data hunting and annoying cross checking. 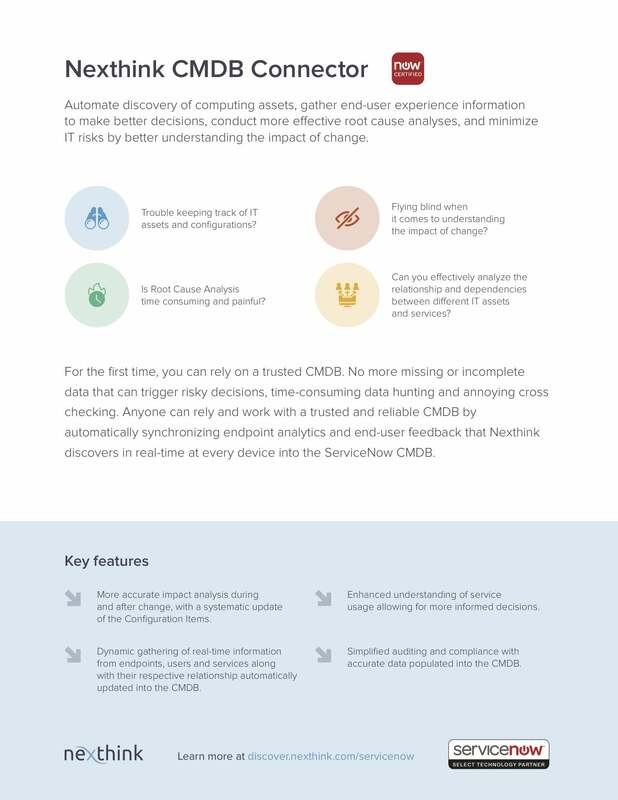 Anyone can rely and work with a trusted and reliable CMDB by automatically synchronizing endpoint analytics and end-user feedback that Nexthink discovers in real-time at every device into the ServiceNow CMDB.